Many organizations have mastered marketing, advertising, customer experience and employment for multicultural segments, but don’t demonstrate high-level insight and expertise that effectively reaches people with disabilities, their families and friends. It is mind-boggling that a market of 56 million people, with over $1 billion in disposable income to spend, isn’t a priority for most organizations. In the past, executives have shared reasons they’ve not taking a deeper dive to understand, penetrate and retain the market. Any of these sound familiar? If this sounds like conversations you’ve had, I’d like to talk with you about closing the gaps. 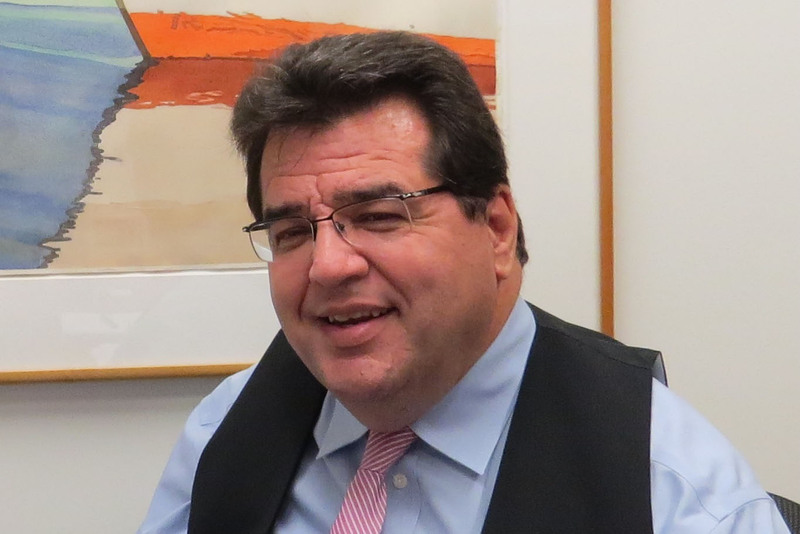 During the first week of August, I’m offering free, 30-minute Disability Market Discovery Sessions (DMDS) to discuss and answer questions you and your colleagues may have about effectively employing, marketing to, or providing an exceptional customer experience to the disability market. My goal is to provide you with value for your organization to implement before 2017 comes to a close. During each session I’ll help you identify what you’ve done, identify opportunities to make your organization more disability inclusive, and develop actionable steps. This offer is for large and small businesses, as well as non-profits and government agencies. Disability Market Discovery Sessions are no cost to you, and scheduled on a first-come, first-served basis. To sign up, or if you have questions, contact Celeste Beaty. I look forward to speaking with you soon! 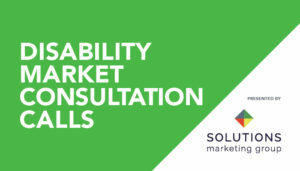 Disability Market Consultation Calls | May 2017 Happy Birthday ADA! President George H.W. 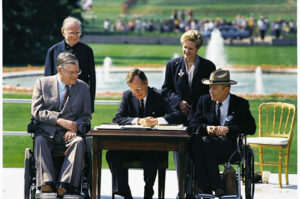 Bush signs the Americans with Disabilities Act in 1990. While the country celebrated Independence Day on July 4th, many of us in the disability community will celebrate a second independence day – July 26th – which marks twenty-seven years since the Americans with Disabilities Act (ADA) became law. I was at the South Lawn of the White House that sunny day, historic day. I was a relative ‘newbie’ to the disability community, and worked as an Independent Living Counselor at the Peninsula Center for Independent Living in Newport News, Virginia. My agency advocated for the ADA’s passage, in the Commonwealth and also on Capitol Hill. At that time I didn’t fully understand what advocacy was but I was doing it! This definitely laid a solid foundation for me to understand the importance of disability rights. After President George H.W. Bush boldly stated, “Let the shameful walls of discrimination come tumbling down,” I heard cheers and saw tears from my elders who fought long and hard to level the field. It knew it was a momentous day, based on the reaction of the crowd, but at that time I had no idea how this law would impact my life, as a wheelchair using, paraplegic. The ADA’s imprint is felt in all sectors of business, and state/local government, and enhances life for 56 million people with disabilities and their families. People with disabilities can present their abilities and skills, by applying for jobs with private sector, state/local government employers, and not be discriminated against. I access buildings with ramps and elevators. My Blind/Low Vision friends are able to use Braille or large print menus at restaurants. I can purchase tickets for Amtrak’s Auto Train and travel to Florida, in an accessible sleeper car. People with limited mobility have the freedom to rent cars, with hand controls. Deaf and Hard of Hearing people can go the movies and use captioning devices. And, these are just a few of the practical and tangible ways the ADA has changed the lives of people with disabilities in the U.S. In the nearly 31 years since I’ve become a person with a disability, and the 20 years since founding the Solutions Marketing Group, the biggest change I’ve seen since the ADA’s passage is that disability inclusion is becoming the norm, and no longer the exception! PS: If you need ideas for your organization to commemorate the Americans with Disabilities Act, visit the ADA Anniversary Tool Kit.